Your abilities will be tested, the basic computing power and reflexes! Tongue smooth goodness! 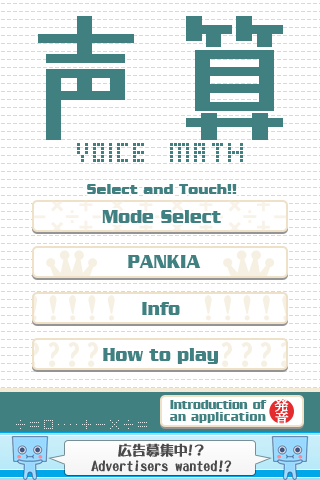 "Voice Math" is voice reply calculation game. There is blank in formulas. 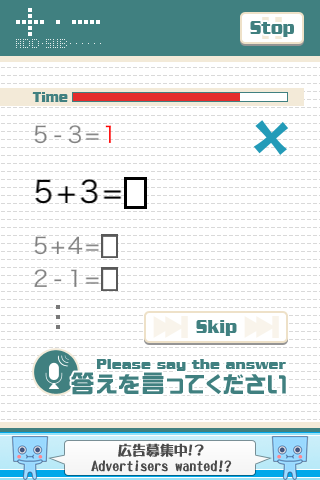 You answer by voice the number or the calculation symbol applied to there. PANKIA can compete with players around the world rankings and scores from the network. Aim for the top ranking in a clearly voice. Answers to questions that formula can only be by voice. All questions are of the form filling. 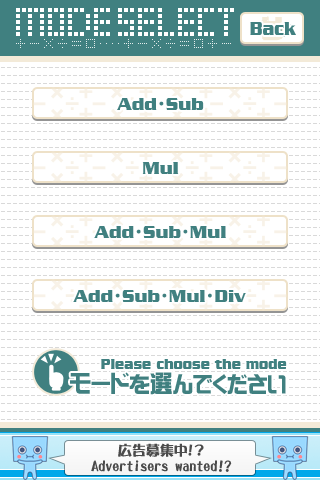 The game modes available, the "addition subtraction," "Multiplication," "Multiplication Addition Subtraction," "division multiplication addition subtraction" mode 4. 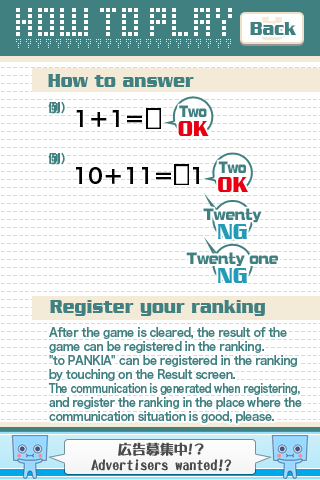 PANKIA network rankings, you can race your friends and players around the world rankings. Achievements are recorded by PANIA play. Aim to release all proven. May not be properly recognized by the sound of ambient noise. Speaking in a public place can become a nuisance because there are around, please note. We are not responsible for incidents and accidents through the use of this application. 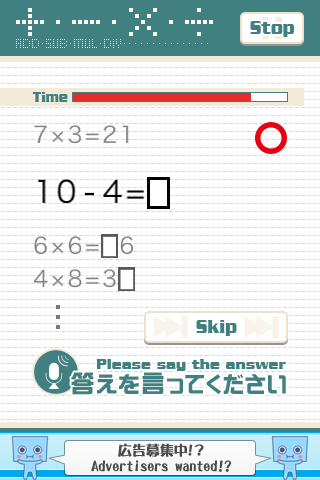 * This application is now iPhone 3G, iPhone 3GS, iPhone4 only. iPod touch, iPad, and if you raise the volume, and voice recognition may not work correctly. - Fixed a flaw with the banner ads. Other Apps by BottleCube Inc.